What approx. size is this suit? Discussion in 'Menswear Advice' started by kubatu77, Apr 14, 2019. I recently bought a Made in Italy Brooks Brothers coat at a thrift store. Trying to figure out what size it is now. Here's the tag, which indicates 44 Regular. Which seems to be too small for a 44 regular. My guess would be somewhere around 40, but I'm not sure. I'm wondering if anyone here has a better idea. I searched online a bit, but the Brooks sizing guide on their site is really buggy for me. Sounds like a 44R to me. Definitely too large for a 40R, where I’d expect the shoulder width to be about 18.5” and the chest to be 21-21.5” PTP. Yeah, when I thought about it a little more, I think you're right that it's 44R. 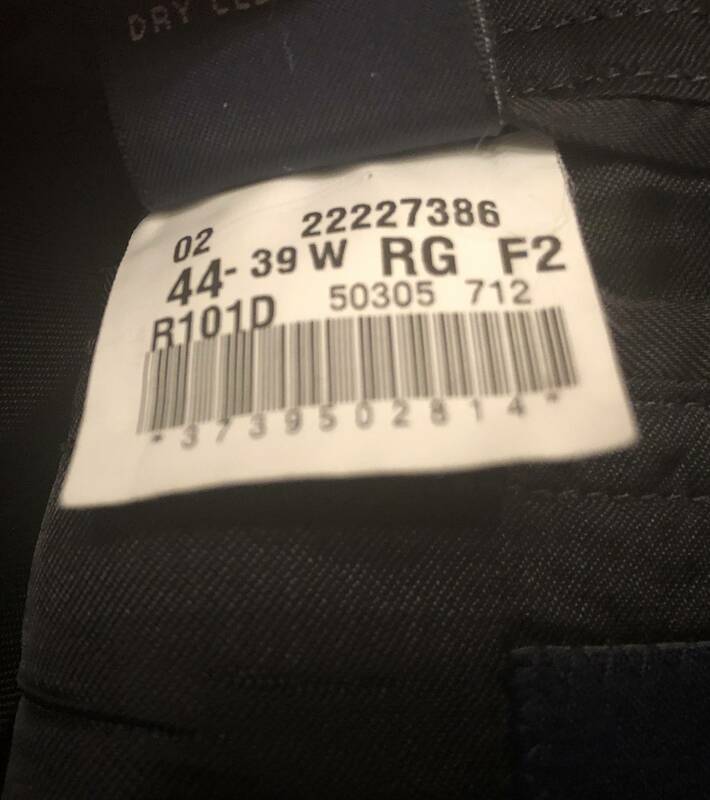 I wear 38R which has a 18 shoulder width, and if you're increasing by 0.5 each size, it would follow that this is a 44R.